Would you like to be one of our team of tenants at the heart of the association, passionate about making a positive difference to services? Get Involved – You Can Make a Difference! CSIT’s latest review of how we administer and provide value for money for Service Charges was approved by the Board in February 2019. All departments should review all of their service charges information (including the tenancy agreement, annual rent statement, website, app. and newsletter) to ensure it is clear, accurate and comprehensive. They should also identify how information about how service charges are calculated can be made more transparent Review publicly available information and identify ways of making it more accessible, e.g. by having easy read information, using FAQs, case studies or a one-page guide and/or producing a Cadwyn Services Responsibility Table along the lines of the current Cadwyn Repair Responsibility Table. Information should be clearer about how to request additional communal services. We are sending out a list of Frequently Asked Questions with the Rent and Service Charge Statements in March. We will shortly be reviewing other information that we provide. We are identifying tenants’ IT/digital skills and needs to understand who is Universal Credit ready and who might need extra support. We are implementing software called ‘Housing Insight’ which will give us more detailed information about our tenants and help inform us whether they are ‘UC ready’. It will also help us target households who are financially (and very likely to be digitally) excluded to offer appropriate assistance. Undertake an Accessibility Audit of Cadwyn’s app and website to ensure they are not excluding anyone and people are not clicking away due to inaccessibility. Wales and West Housing Association’s website accessibility options could be used as a point of reference. Our website now has an accessibility toolbar which makes it easier for people with certain disabilities to navigate. We will carry out an Accessibility Audit of the app. Explore and identify how tenants might access information regarding their individual service charges including via the Cadwyn App or by ringing Cadwyn We will clarify how tenants can access service charge information by ringing Cadwyn and will include this in the FAQs. Accessing service charge information via the Cadwyn App isn’t currently possible and will not be achievable until we have a new housing management system. This is an ambition for the near future. Have a service charge notice in all shared areas making it clear what will be cleaned and how often; and include a contact name and number The notices have been designed and are now in all applicable schemes. Have a service charge chart in all shared areas to record when the area was last cleaned The charts have been put up in all applicable schemes. Cadwyn to get on top of the quality of services, e.g., by undertaking spot checks following service delivery; or asking for immediate tenant feedback (via the App?) Monthly spot checks of schemes will take place to check cleaning and grounds maintenance standards. This will include gathering tenant feedback on site. Require cleaners to use “wet floor” notices when mopping communal area floors Wet floor signs are already used but we have purchased 20 more to ensure every floor has one whilst a block is being cleaned. Produce an action plan for actions that emerge from this review and share with the CSIT. It should include an update within 6 months to the CSIT of the specific “thorny” issues raised by tenants during the review (including the overgrown garden). Sarah Evans, Assistant Head of Housing Services will be the main point of contact for the CSIT and is responsible for the action plan. 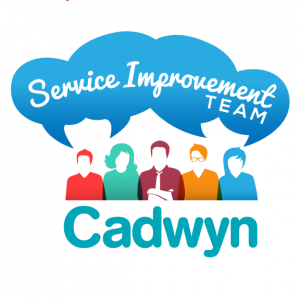 If you would like to get involved in any aspect of our Cadwyn Service Improvement Team – becoming a member of the group or getting involved in our ongoing digital work – please get in touch via the form below. We’d love to hear from you! What are the Benefits in getting involved in CSIT? What is the South Wales Scrutiny Network?